I've always dreamed about having one of those room-sized closets with custom wooden shelving and special lighting and a chandelier... Basically like the ones on MTV's Cribs. 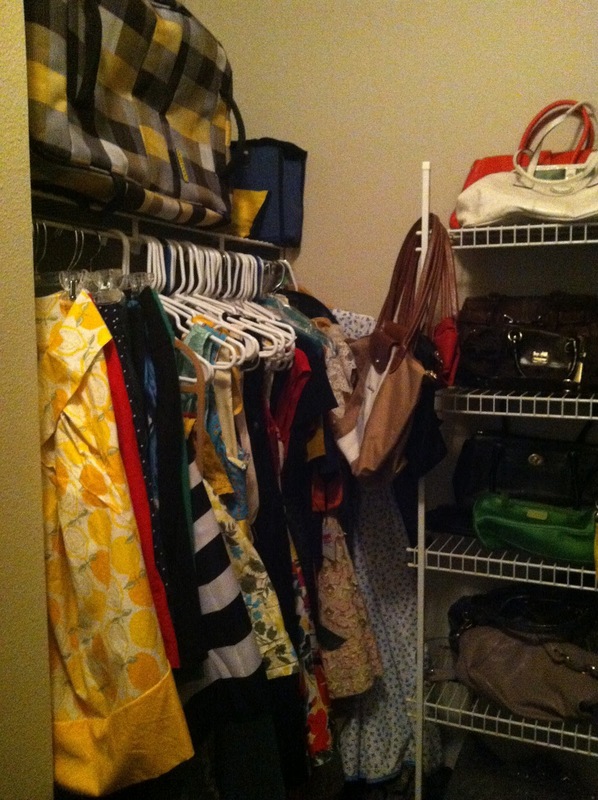 But in the meantime, I am loving my main walk-in closet in the master suite of my apartment. And yes, I said main walk-in... because there are two. While the rest of my apartment is still coming together in terms of decorations, I finally got my closet the way I wanted it to be! With a lot of help from my Mom, I can now proudly "shop" my own wardrobe for shoes, purses, accessories, and, of course, CLOTHES. Arranging by color also tells me when to stop buying a certain color and start buying more of another! I was going to buy shelves for my shoes, but my sister and Mom convinced me a hanging organizer would give me more space. 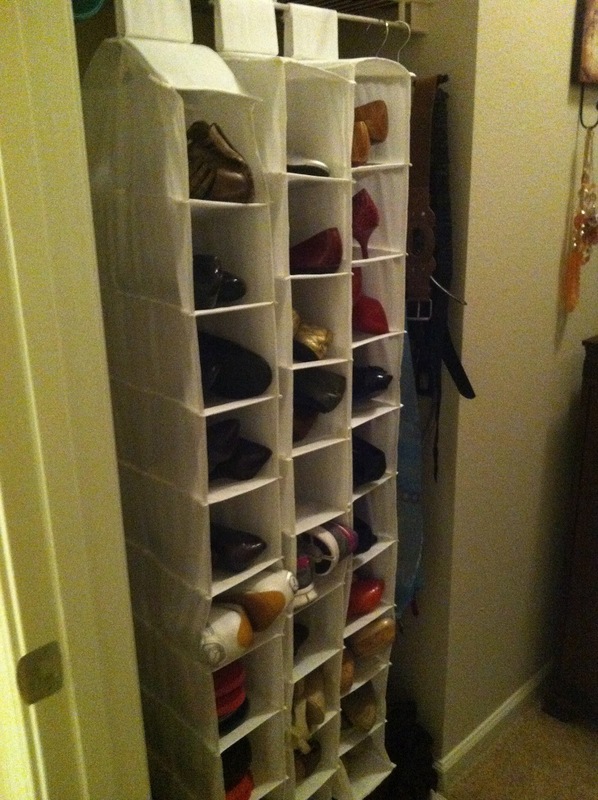 I think that they were right; I have space on the floor and higher shelf for boots, and the cubbies were good for my flats, sandals, and heels. I arranged most of my tops by color, which is different from what I've done before; usually, I do it by sleeves/thickness. Organizing by color helps me put an outfit together and accessorize easily. 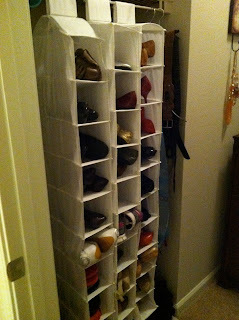 My bottoms and dresses are organized by season/level of formality/length. So basically I pick something from tops or bottoms and then build around that! 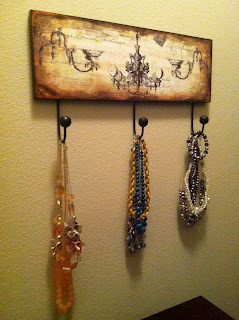 I also like having my jewelry in the closet now, because I can hold up different necklaces and earrings next to outfits I'm considering. I even have shelves that just seemed destined to display my handbag collection. 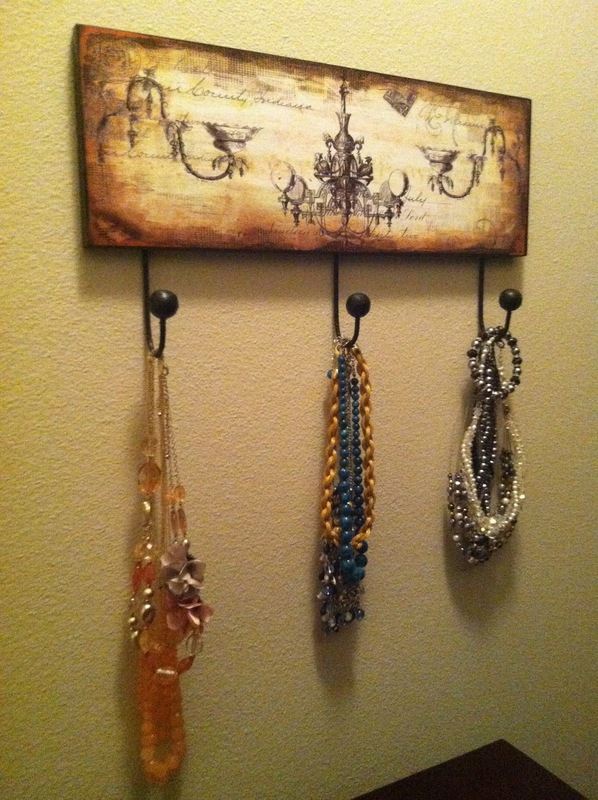 I really love my new closet. It is a part of my everyday routine, and it's so much easier to get dressed for work every day with everything put together now. Haha, actually, I need to continue to weed out shoes... I had two pairs start to come apart on me at work this week!! !